Man United went three points clear at the top with an emphatic 5-0 away victory over West Brom. Manchester United went three points clear at the top of the Premier League with an emphatic 5-0 victory over bottom side West Brom at The Hawthorns. Dimitar Berbatov opened the scoring in the 22nd minute after he had played a one-two with Michael Carrick. West Brom skipper Paul Robinson was then controversially sent-off for a challenge on Park Ji-sung before Carlos Tevez doubled the advantage a minute before half-time after Scott Carson had dropped a free-kick. In the second period, Nemanja Vidic headed the third on 60 minutes before Cristiano Ronaldo scored a brace on 65 and 73 minutes to seal an easy victory. The result also saw United set a new record of 11 successive clean sheets, breaking Chelsea's record of four years ago. 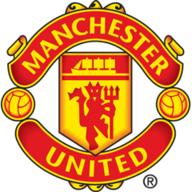 The Red Devils' sixth successive league win has increased the pressure on nearest challengers Liverpool ahead of their game with Wigan on Wednesday. 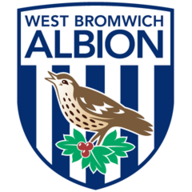 Albion remain rooted at the bottom of the table and also saw their goal difference take a battering from Ferguson's side. United were bolstered by the return of central defender Rio Ferdinand after an 11-game absence with a back problem and Park was also back in the starting line-up after a hamstring setback. Albion started brightly and Gianni Zuiverloon saw his 20-yard shot cleared off the line by Carrick after Edwin van der Sar had punched clear. Carson got his body behind a left-footed effort from Park and then reacted sharply to come off his line to block an effort from Berbatov. Ronaldo looked to the skies in disgust after dragging a drive wide of Carson's goal when well placed after some neat approach work. United were looking an increasing threat and after 22 minutes Berbatov put them ahead with his fifth goal in the last seven matches and 11th of the season. The former Tottenham player exchanged passes with Carrick and timed his run to perfection in staying onside before drilling a low shot through the legs of Carson into the corner of the net. Albion almost went further behind after Giggs intercepted a square pass from Chris Brunt towards Borja Valero and broke with lightning speed. He found Ronaldo in acres of space of the left and his low centre was met first time by Tevez whose shot flew only a yard wide. Gary Neville was then incensed not to be awarded a penalty after being challenged by Brunt but referee Rob Styles waved aside his protests. Ronaldo should have doubled United's lead after 33 minutes when he was put clear after great skill by Giggs but he clipped his shot over Carson and wide. In a rare Albion raid Zuiverloon should have done better when the ball broke to him 12 yards out but he lofted his volley well wide of the far post. Albion found themselves reduced to ten men after 40 minutes when Robinson was sent-off for a challenge on Park. It looked a harsh decision with no United players berating Robinson, while Neville and Giggs almost looked to be sympathising with the left-back. Then a minute before the interval a mistake by Carson led to Tevez doubling United's lead. The England keeper failed to hold onto an inswinging Giggs free-kick and a grateful Tevez smashed the loose ball into the roof of the net. After the restart, Albion showed they had not given up hope and Ryan Donk crashed a shot against the post from a narrow angle. But after an hour Vidic ended any chances of a comeback by grabbing United's third goal. Giggs floated the ball into the near post and Vidic was first to react with a fierce header which Carson could only help into the roof of the net. Park was yellow carded for a foul on Cech but again it looked a questionable decision from Styles. Mowbray made a double change, taking off Zuiverloon and Simpson and replacing them with James Morrison and Roman Bednar. But United were now rampant and after 65 minutes Ronaldo made it 4-0 with a simple finish after being teed up by Giggs and got his second of the night eight minutes later to complete United's rout.